At the time of writing the crisis around the migrant rescue ship Aquarius is still ongoing. It is a sign that the migration honeymoon between Malta and Italy is about to end. Thanks to the informal agreement that existed between prime ministers Joseph Muscat and Matteo Renzi hardly any migrants reached Malta from North Africa for several years. But things appear to be changing. Matteo Salvini, Italy's new interior minister and leader of the Lega party, was elected recently on an anti-immigration ticket. 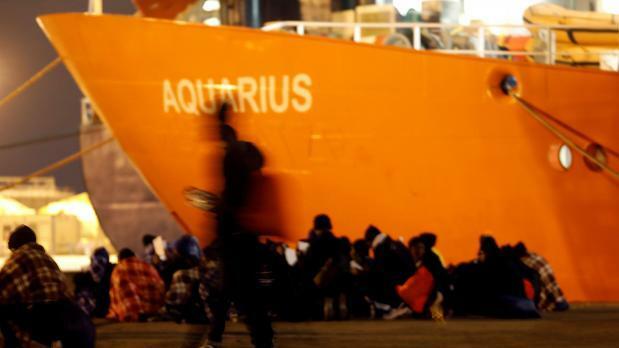 On Sunday he took the unprecedented decision of closing Italy's harbours to the Aquarius and demanded that it come to Malta instead. He said that “The Good Lord put Malta closer to African shores than Sicily.” Clearly, he forgot about Lampedusa and Pantalleria. This could well lead to a very long and hot summer for the relations between Malta and Italy. It may also lead to an influx of migrants leaving Libya in the hope of a better and brighter future in Malta on their way to Europe. The migration problem is not just an issue between Malta and Italy. It is a problem for the European Union as it spawns other problems including the emergence of right-wing anti-immigrant populist parties. There are other reasons for the rise of such parties, but undoubtedly migration is one of the most important. Right-wing politicians in central European countries are exploiting opposition to the wave of refugees from Syria and other countries and resentment to ‘economic migrants’. Patrick Moreau, a political scientist at the National Centre for Scientific Research (CNRS) in France in a recent interview with Raphaël Hasenknopf of La Croix argued that the main source of division for Europe is the management of migration. This crisis challenges the core values that the European Union is built on. Pope Francis wrote to a June 5-8 symposium in Athens urging people to show more concern for migrants as Europe still reels from a migrant crisis that began in 2015. In his message, he pointed out how the Mediterranean had become a watery grave for men, women and children alike seeking refuge by boat on foreign shores. He also recalled his visit to the Greek island of Lesbos in April 2016 with Ecumenical Patriarch Bartholomew and the Orthodox Archbishop of Athens during which they expressed their concern for migrants and refugees stranded on the island pending asylum bids. Frequent migrant arrivals create problems. But the xenophobic reactions on Facebook are not the solution. “While enchanted by the scenery of the blue sky and the sea, I was struck by the thought that such a beautiful sea had become a tomb for men, women and children who for the most part sought to escape, tried to escape the inhuman conditions of their lands,” the pope wrote. I will not go into the legal and political arguments but focus on the reactions of the Maltese. Comments on Facebook make one shudder and ask whether or not we are a Christian or a civilised nation. I agree that frequent migrant arrivals create problems. But the xenophobic reactions on Facebook are not the solution.